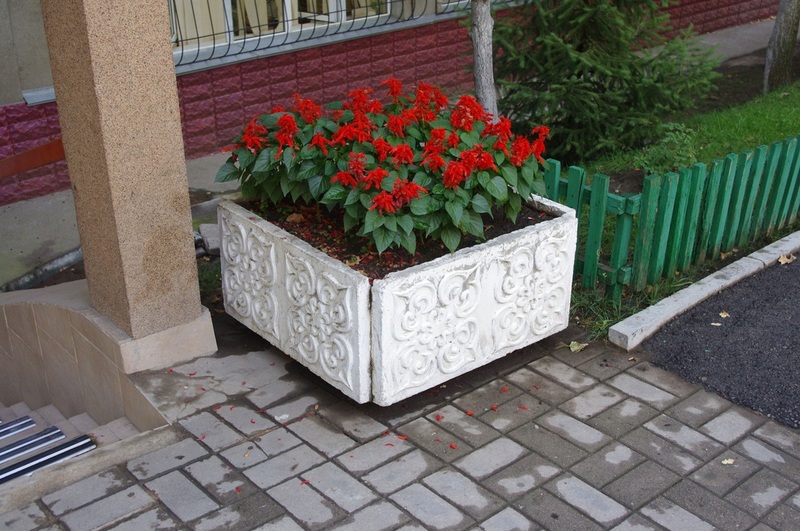 In researching this project, I've come to read dozens of Russian-language websites selling building materials, urban furniture and the like, and I've become enamored with their tendency to provide prosaic product descriptions for even the most obvious items. 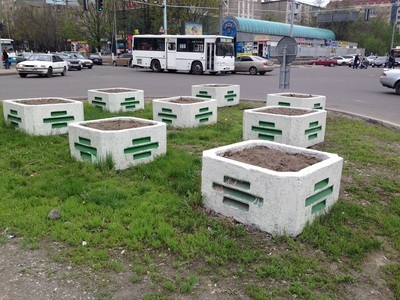 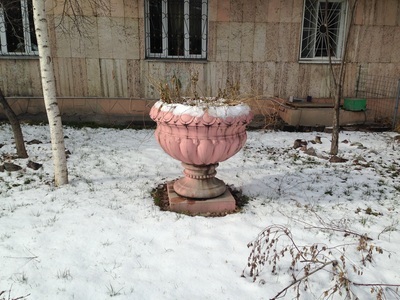 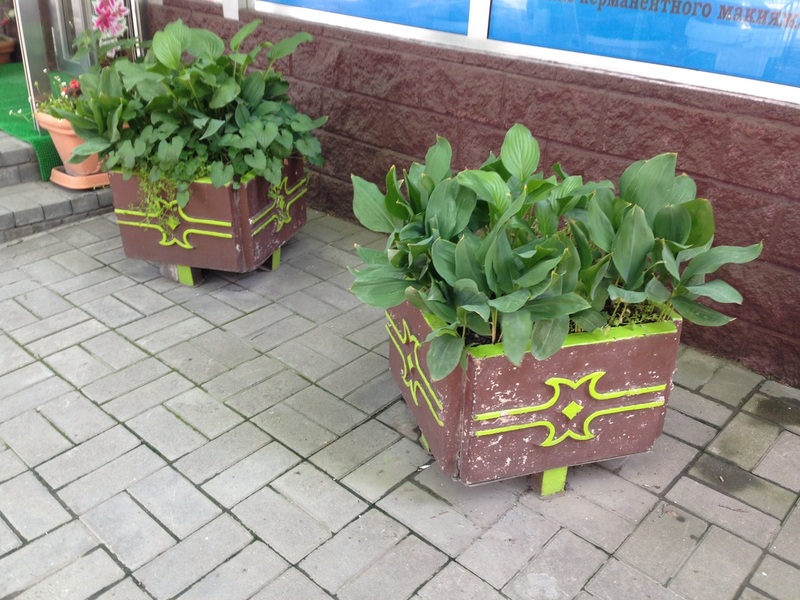 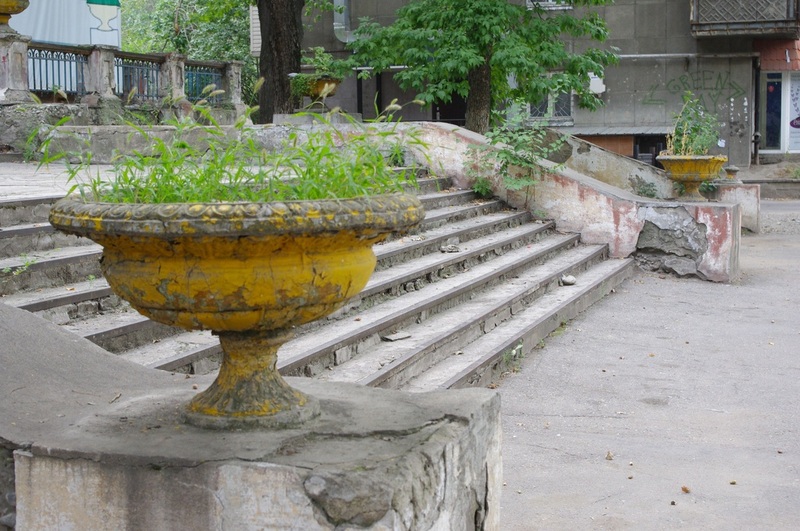 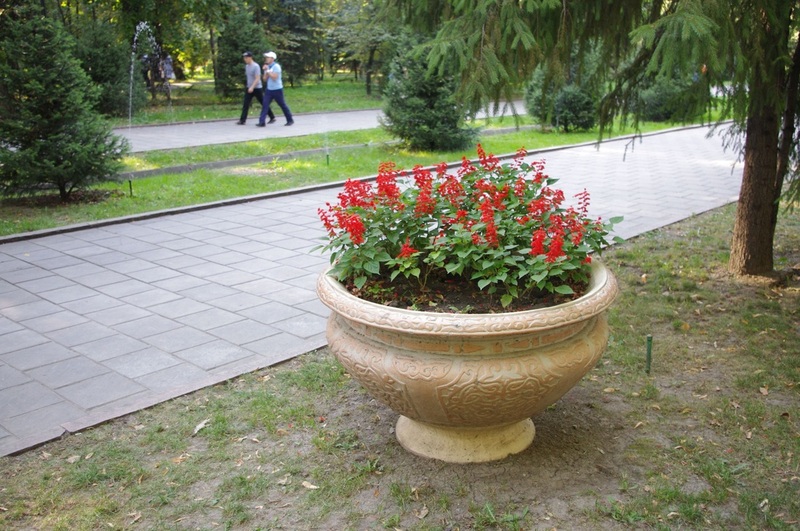 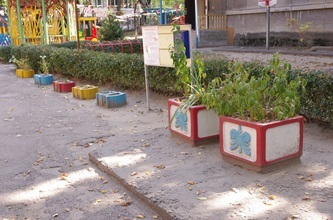 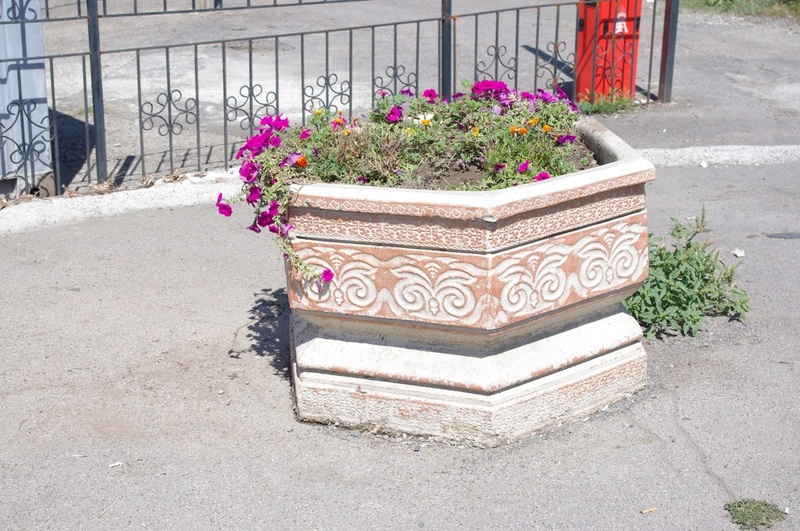 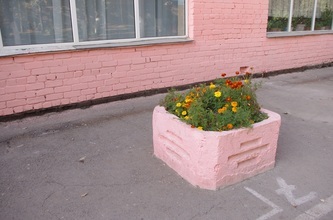 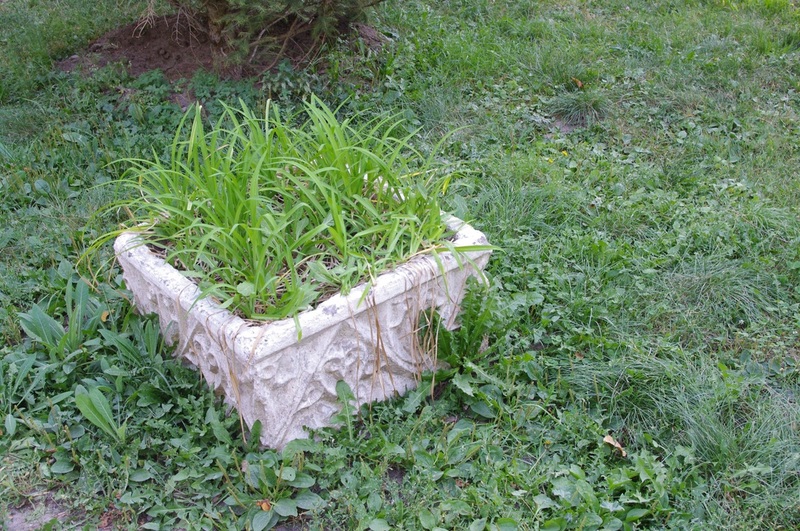 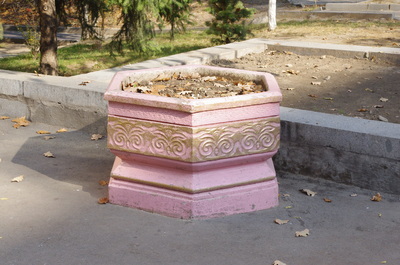 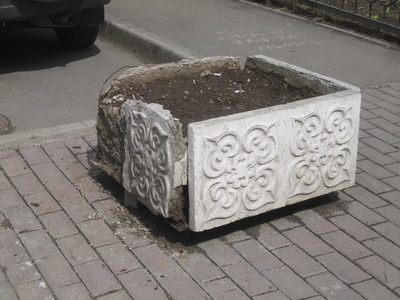 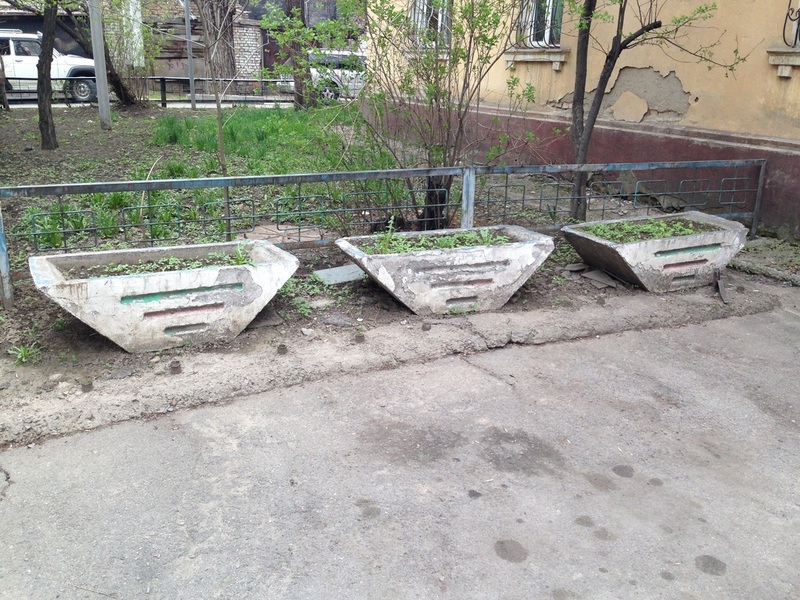 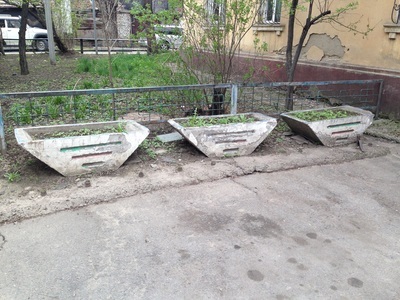 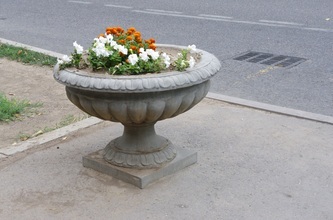 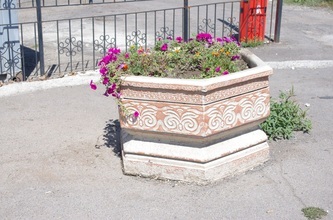 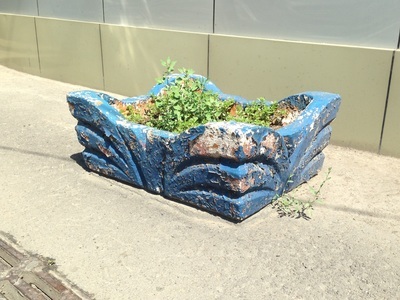 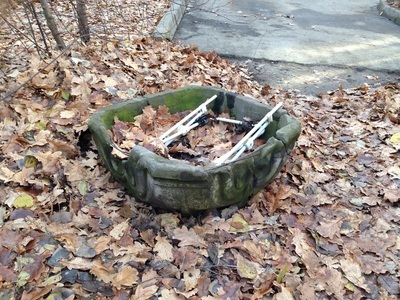 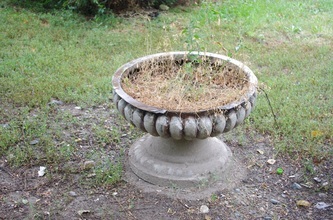 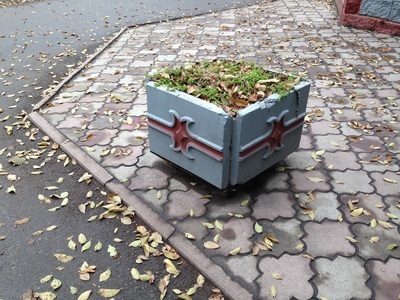 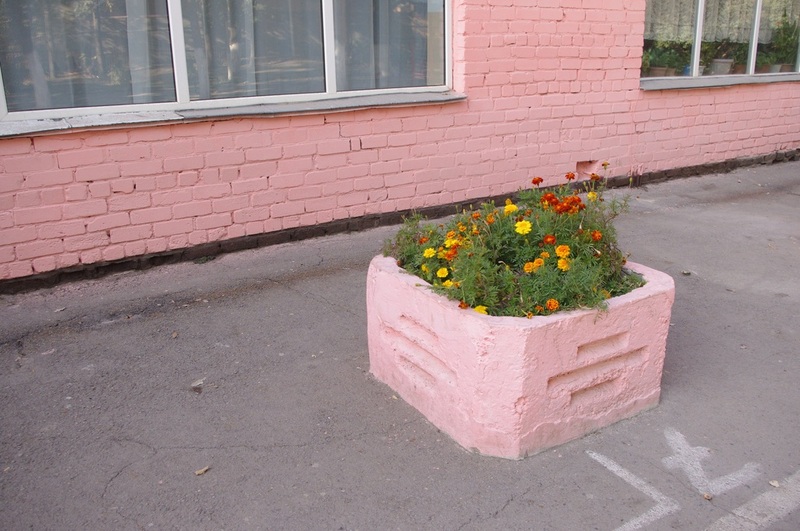 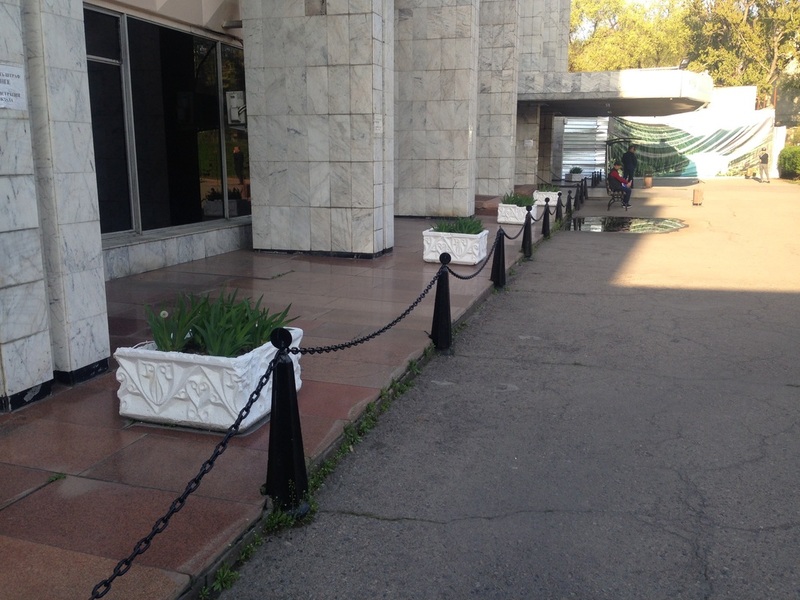 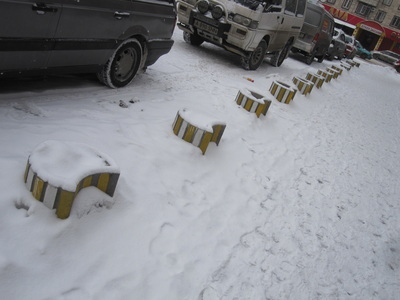 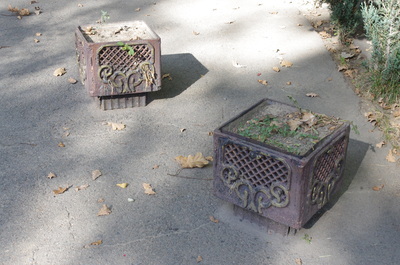 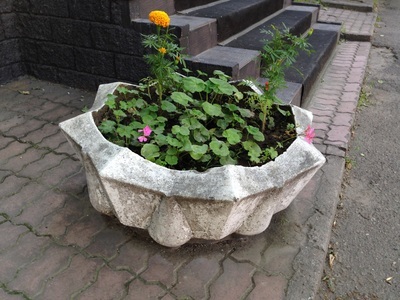 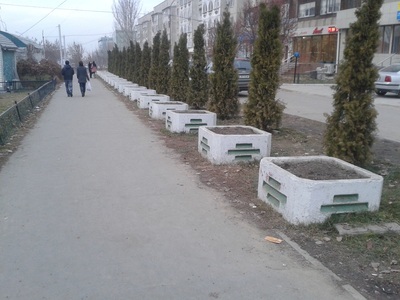 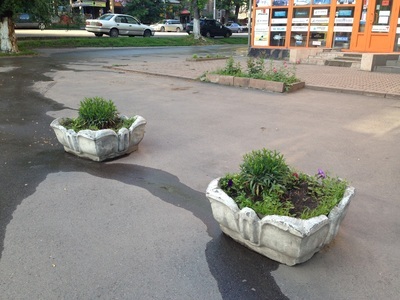 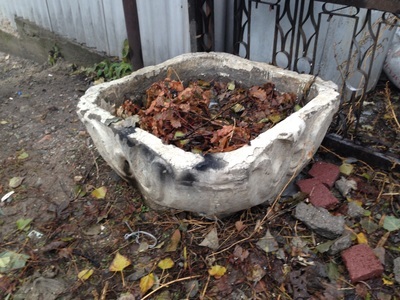 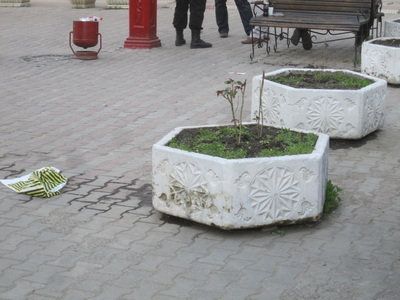 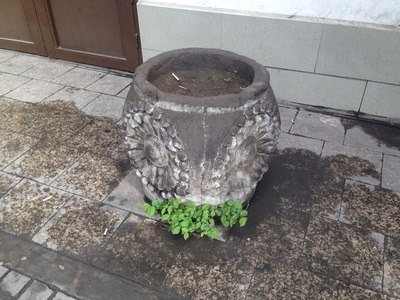 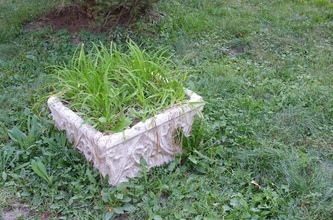 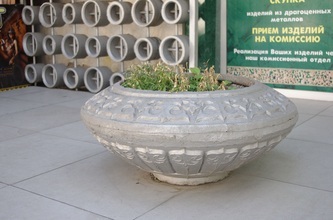 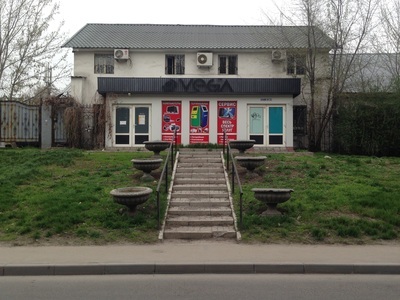 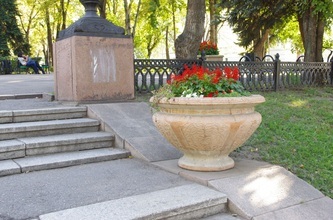 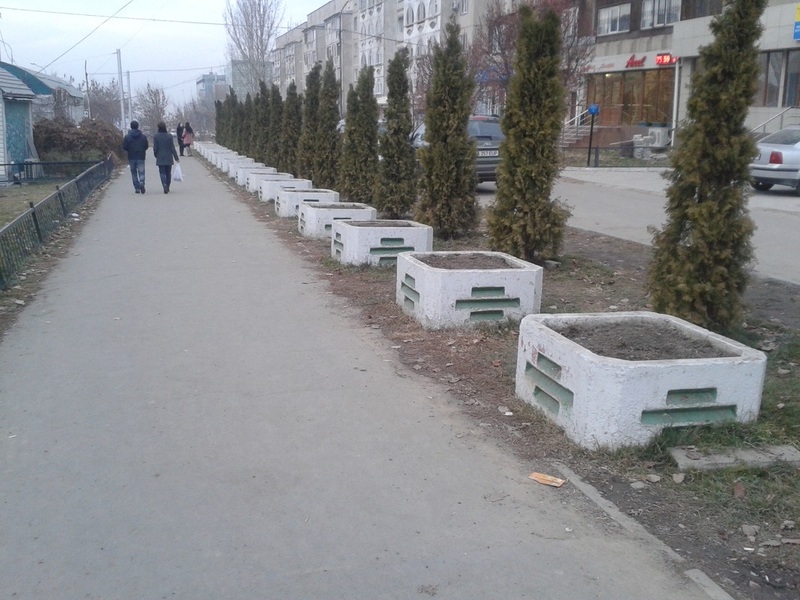 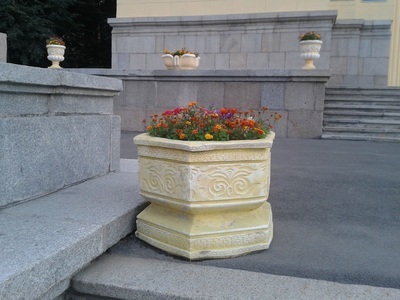 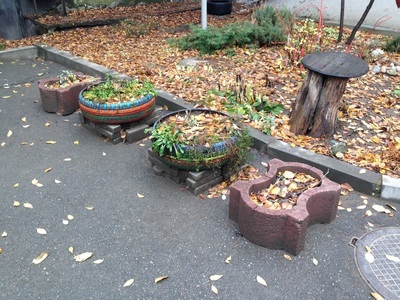 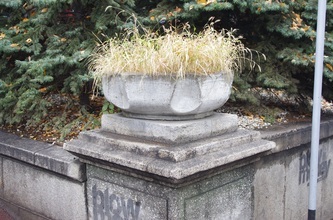 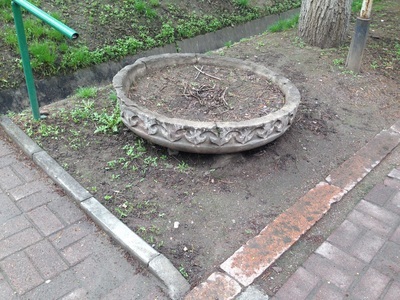 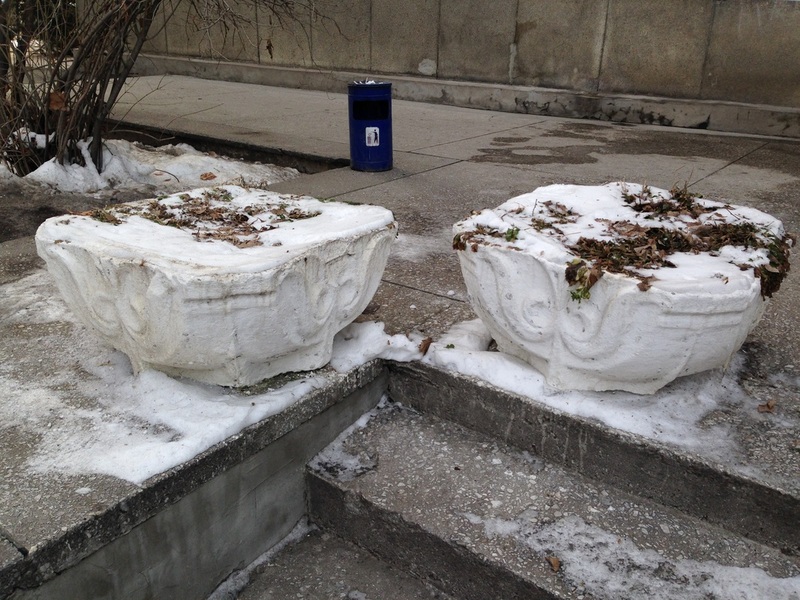 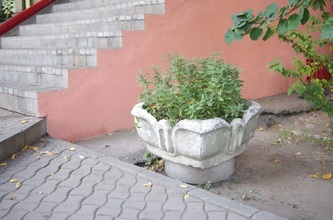 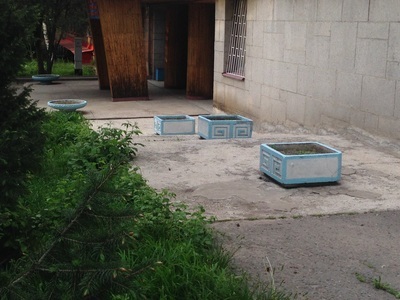 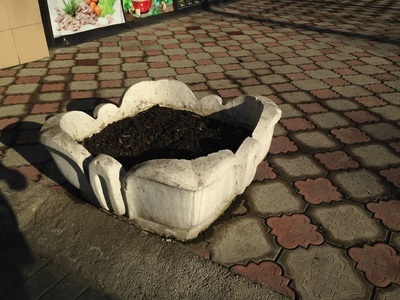 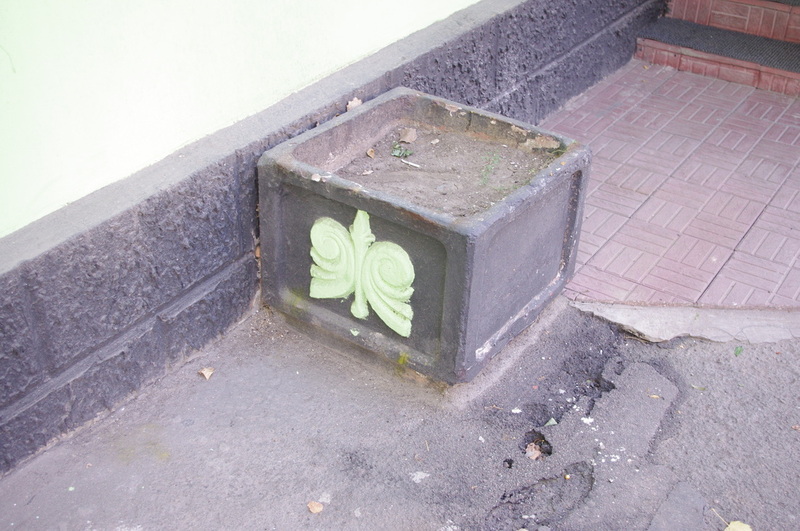 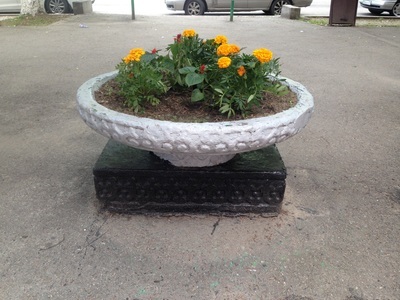 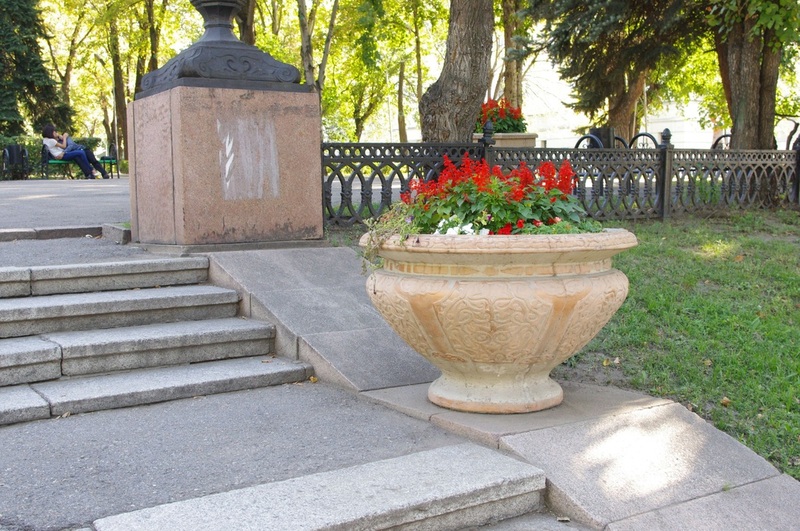 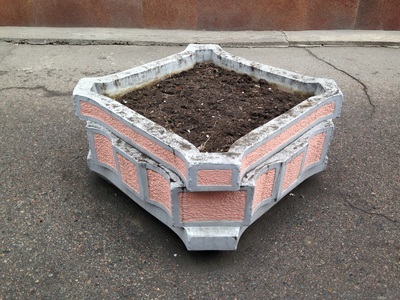 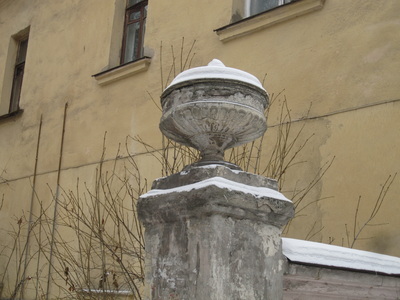 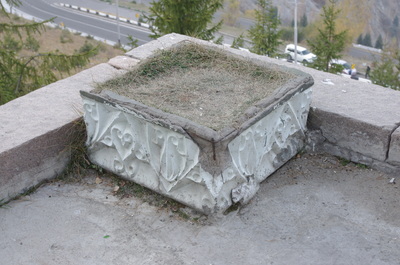 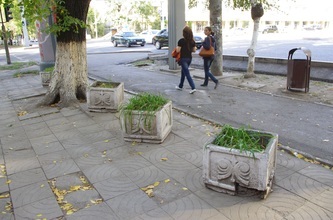 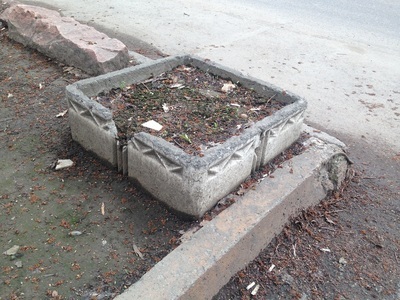 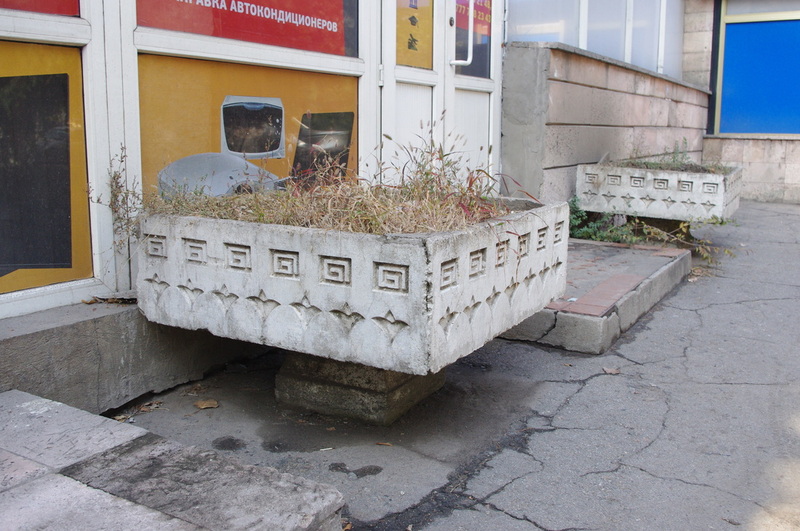 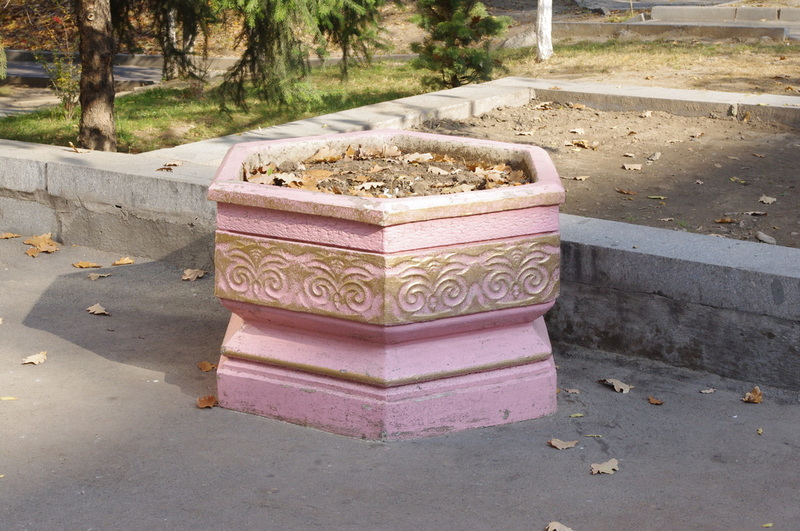 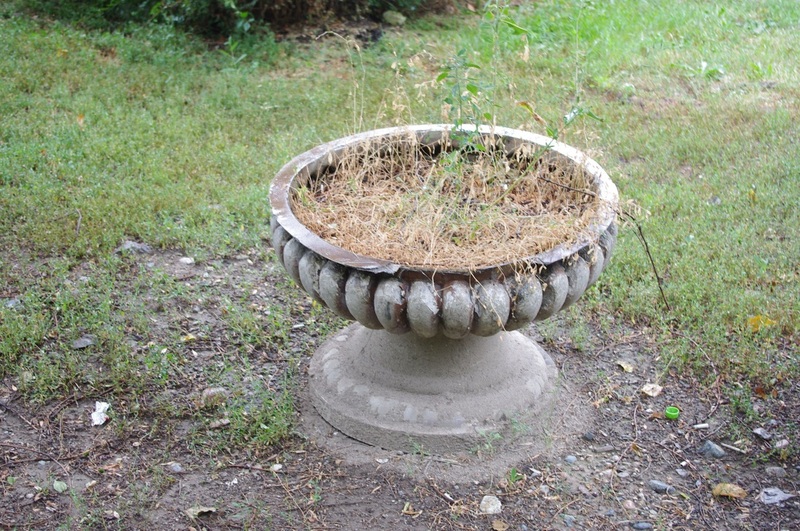 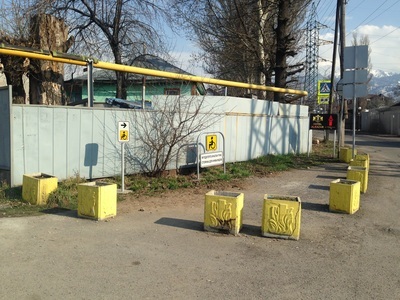 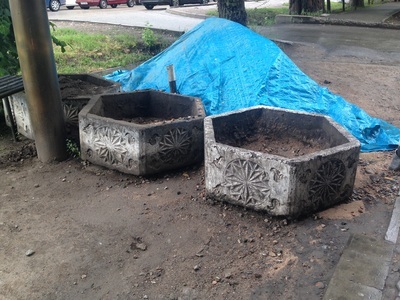 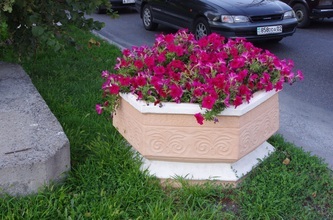 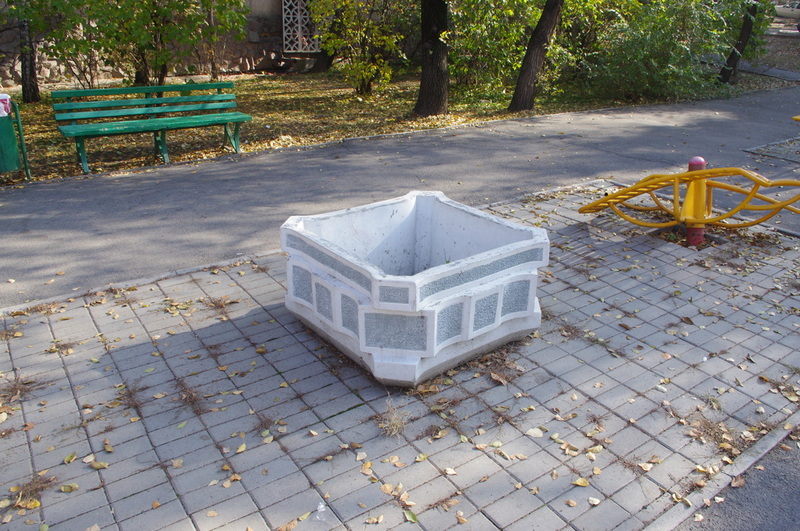 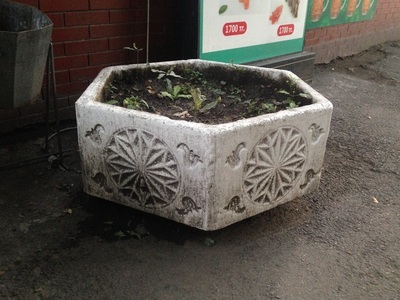 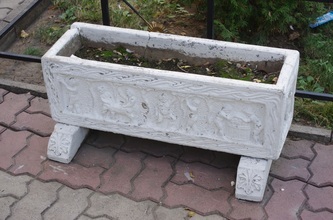 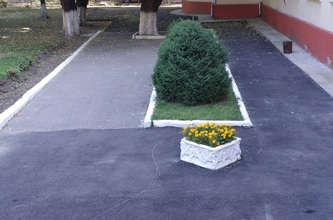 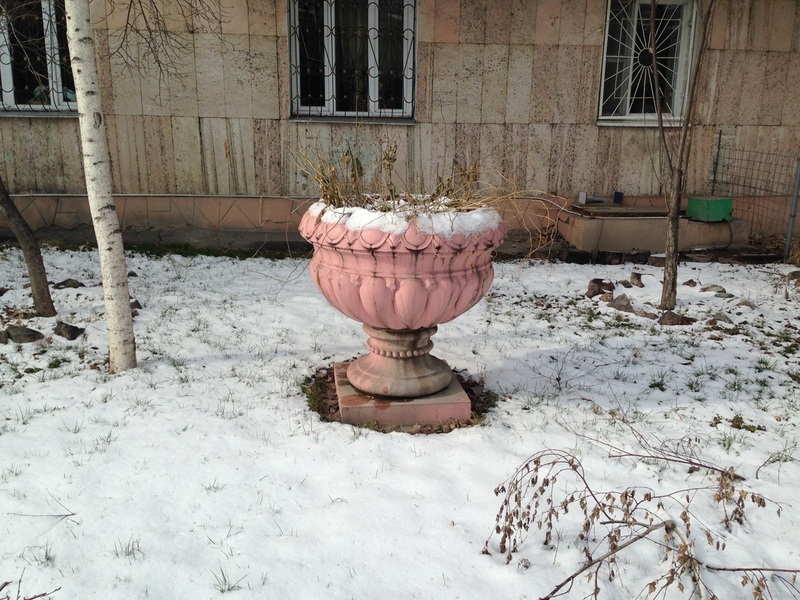 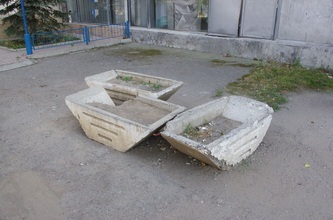 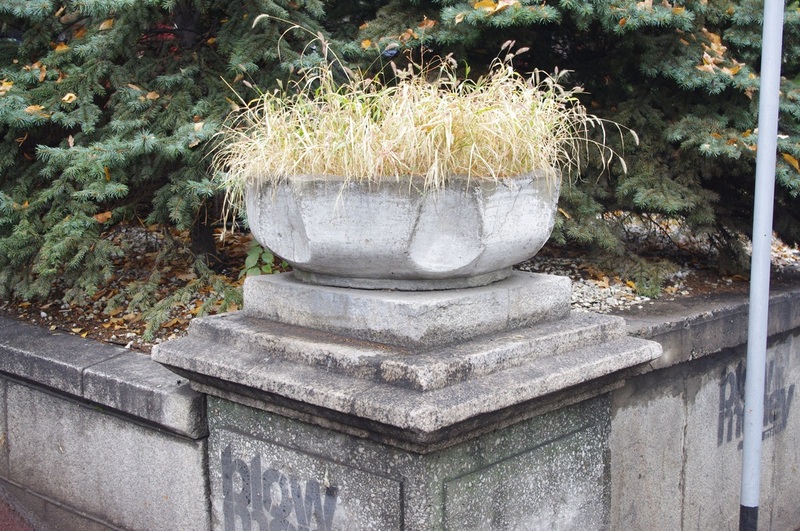 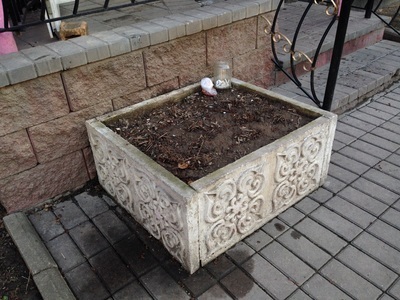 For example, the website for a company with the creative name "Factory ZBI One" happens to have a surprisingly thoughtful entry on flower pots: "They serve as the perfect decoration for cities, not only in the summer when they are full of growing flowers, but in the winter, when they stand silent and severe." 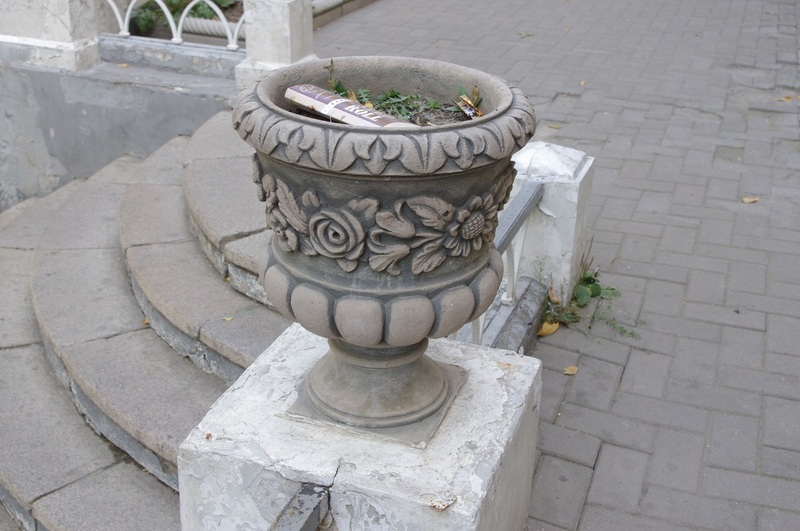 I'd like to take that copywriter out for a drink, for flowerpots truly are something to admire. 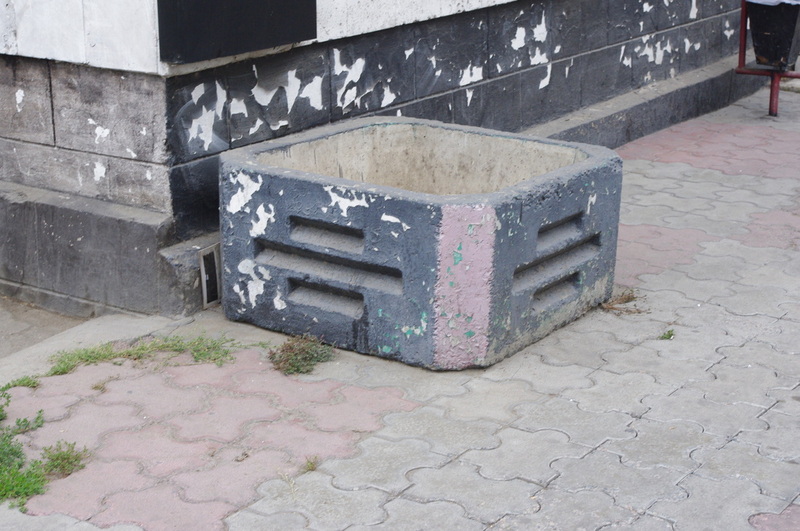 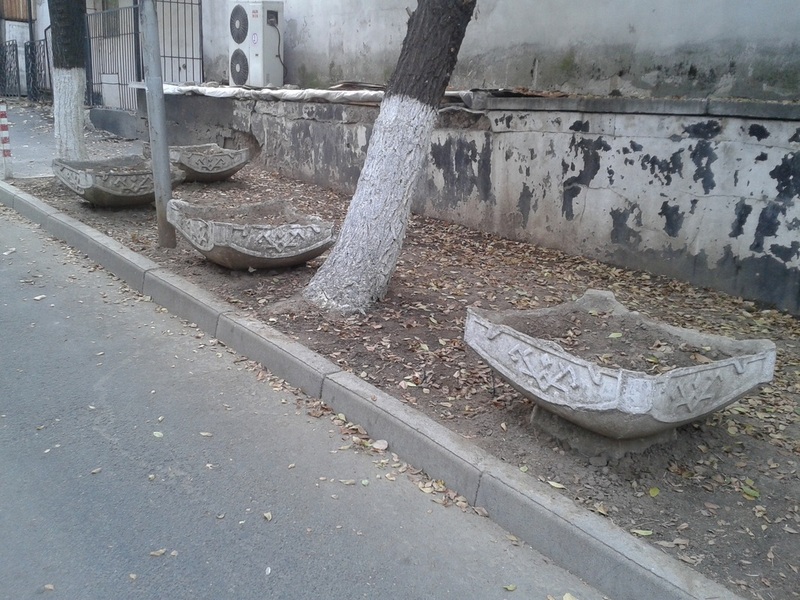 In Almaty, they stand silent and severe all over town, hundreds of them clearly placed by Soviet landscape artists back in the day. Because of this central planning, you see the same flowerpots everywhere, like the cubic ones with the three dashed lines on the side or the classical ones shaped like goblets. Many of these, I've noticed, were even fashioned out of locally-produced balcony panels. 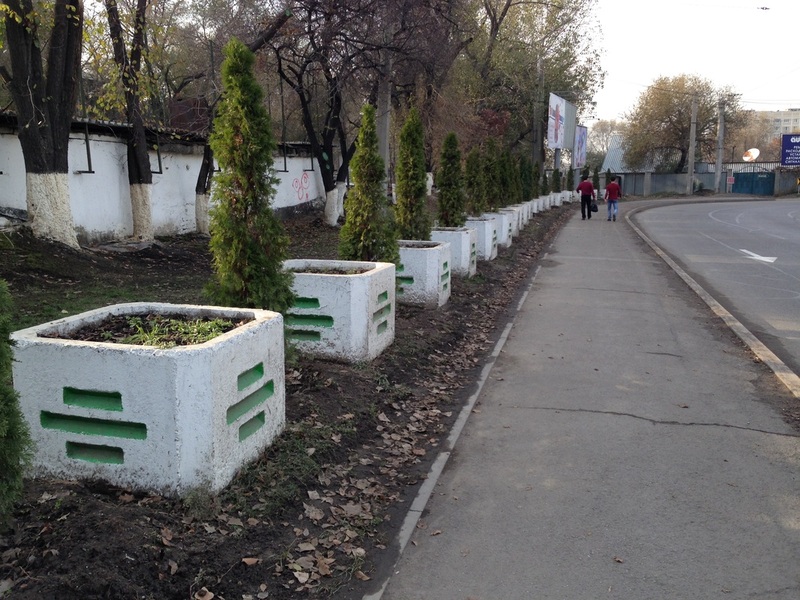 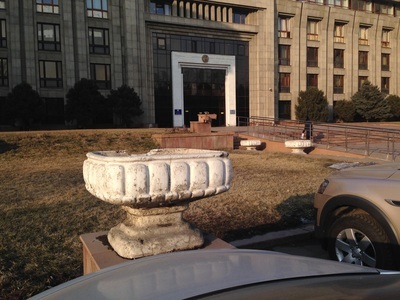 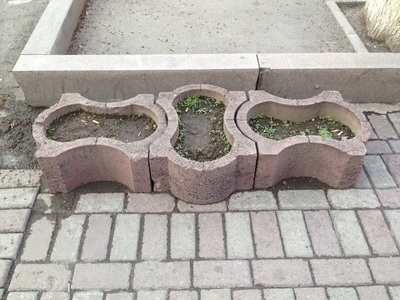 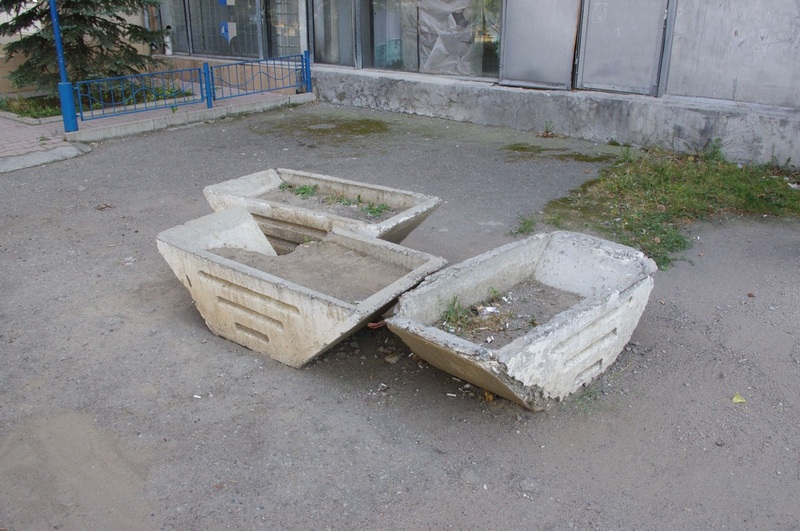 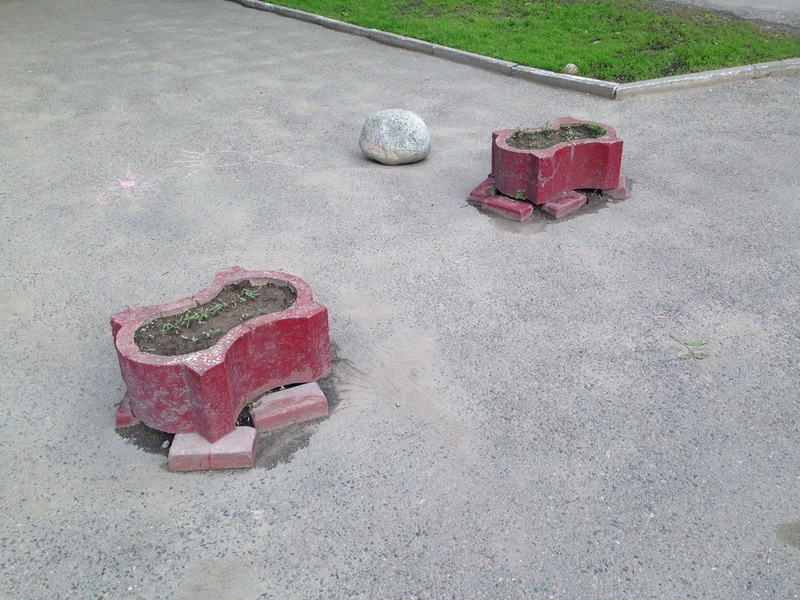 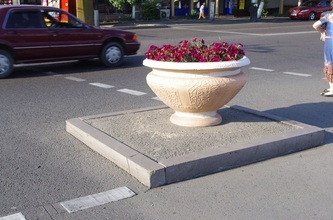 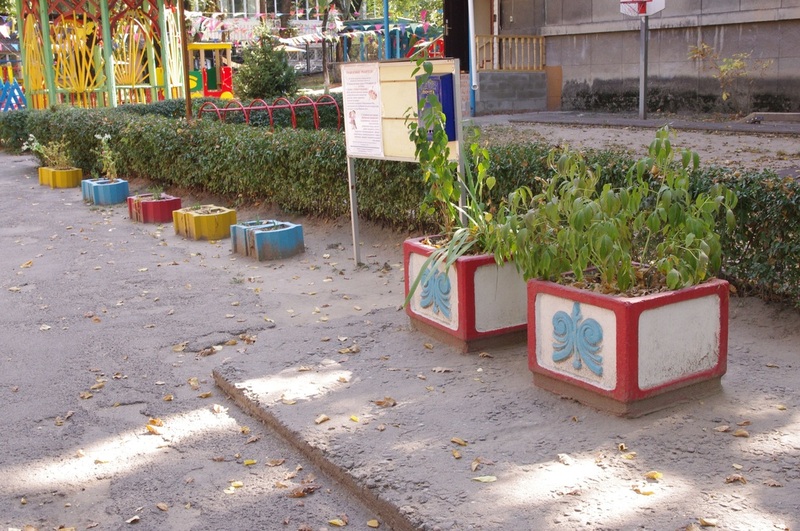 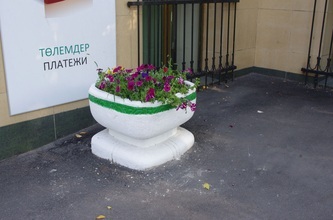 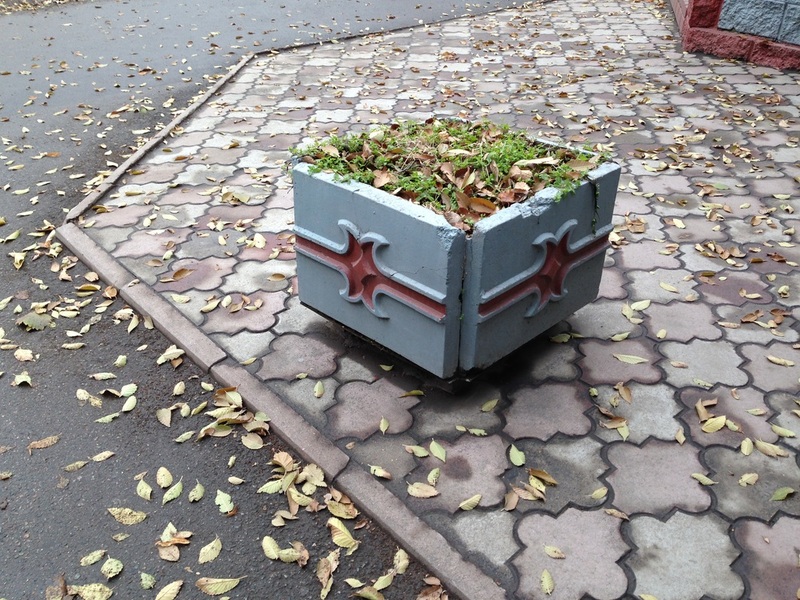 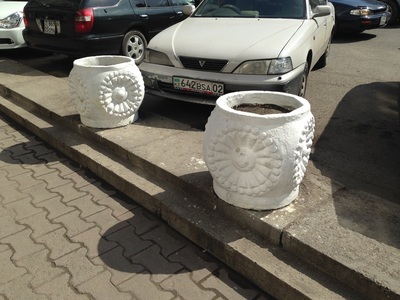 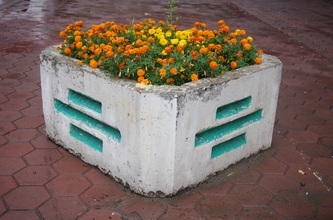 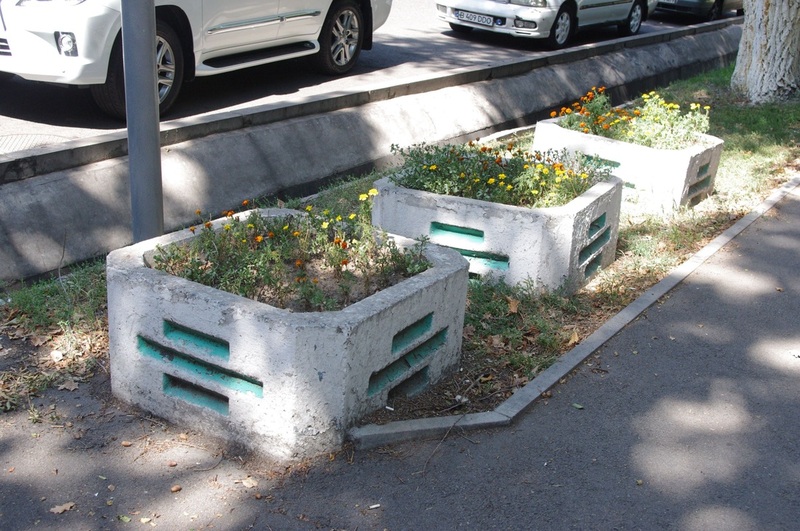 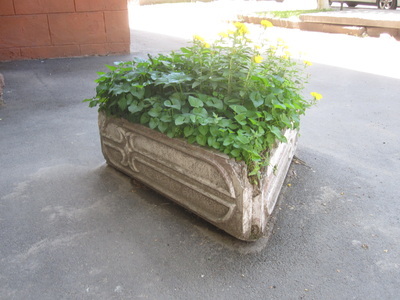 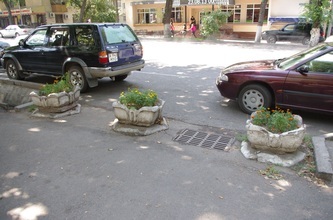 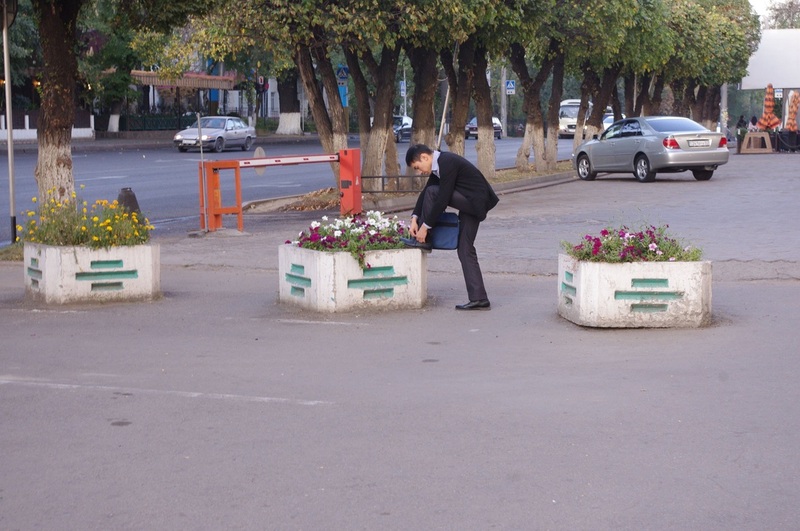 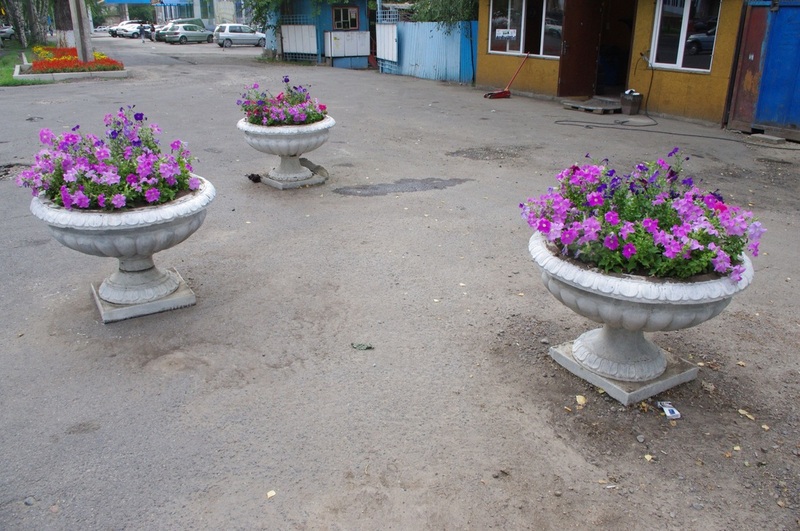 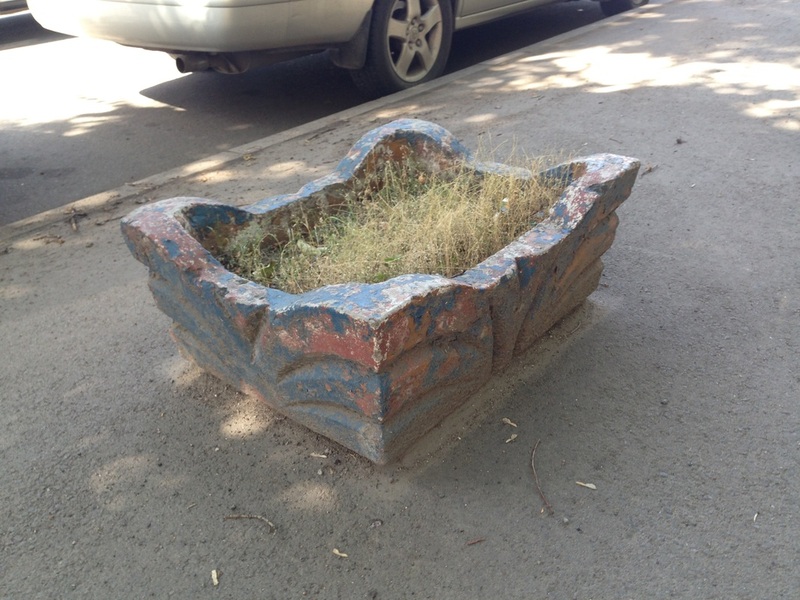 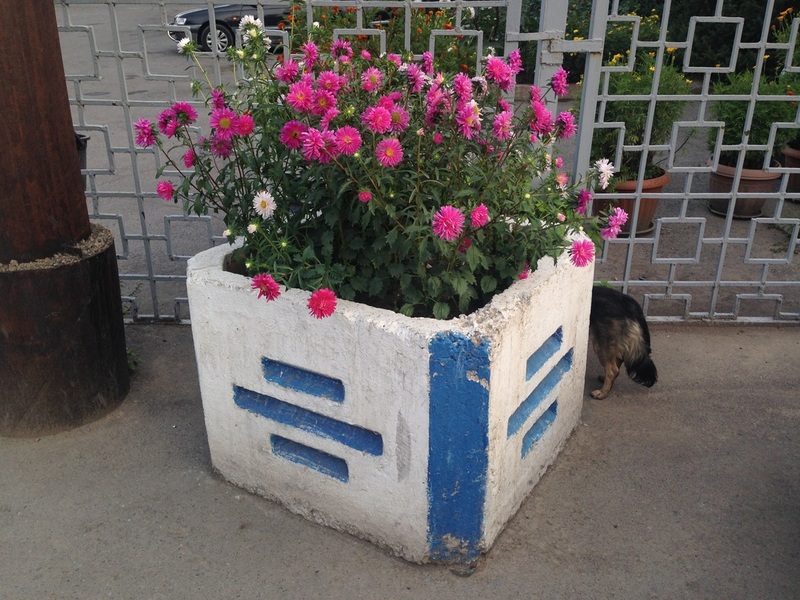 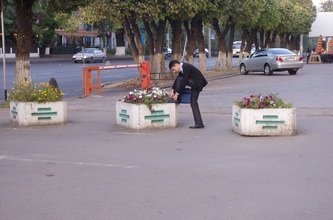 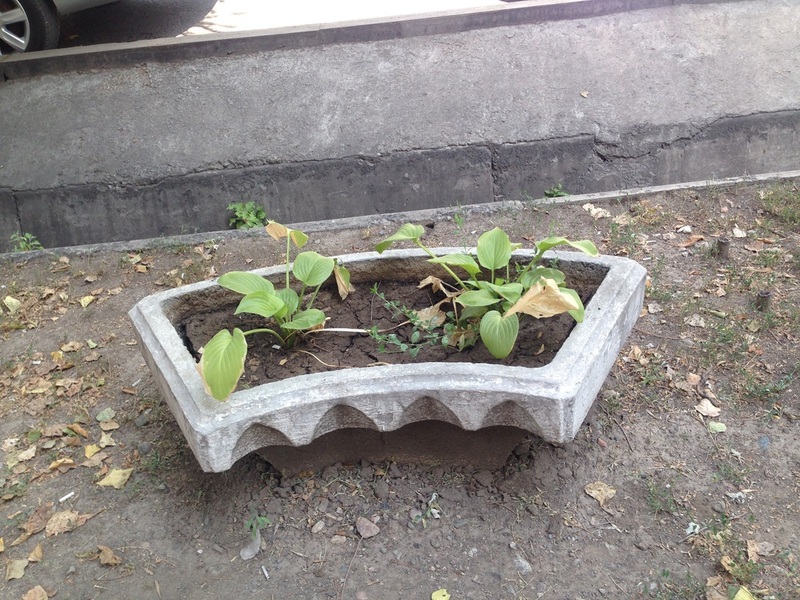 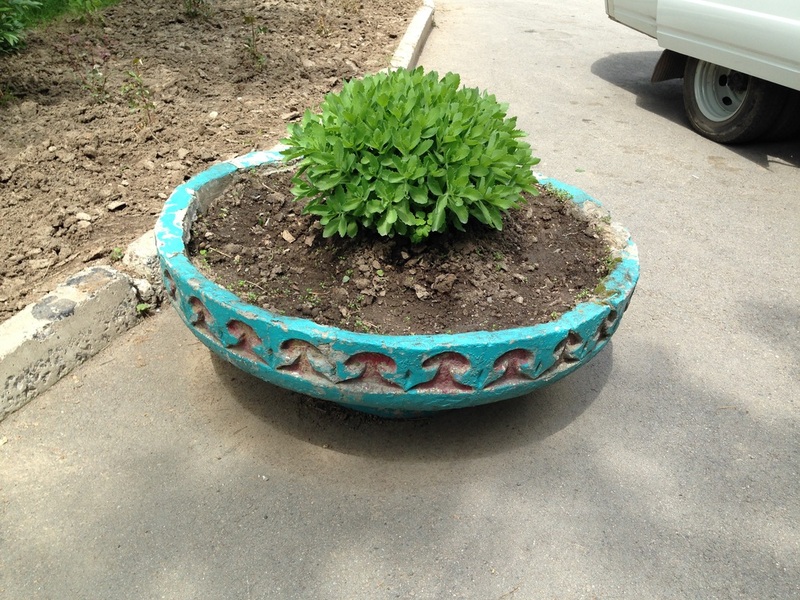 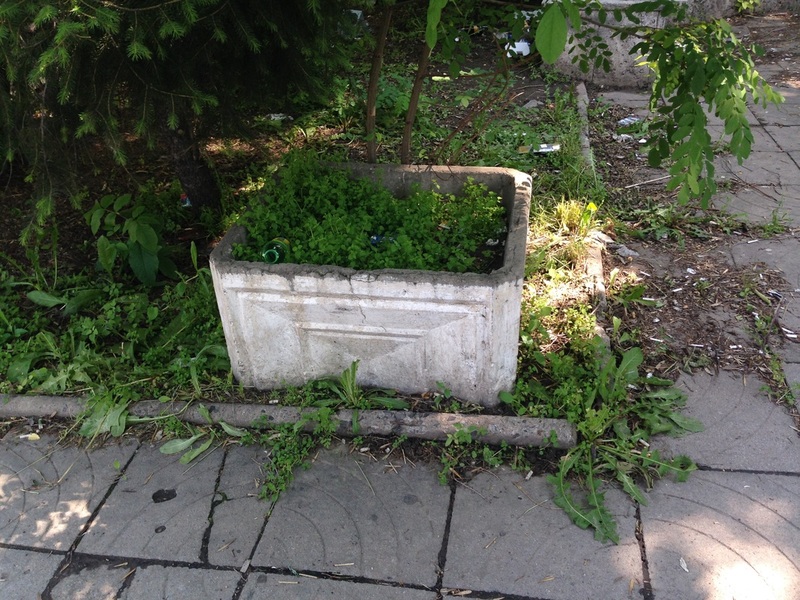 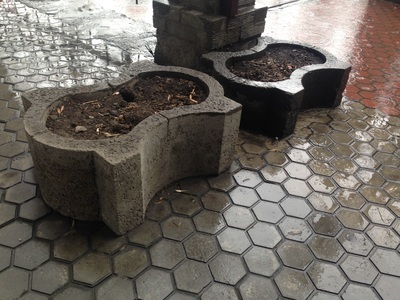 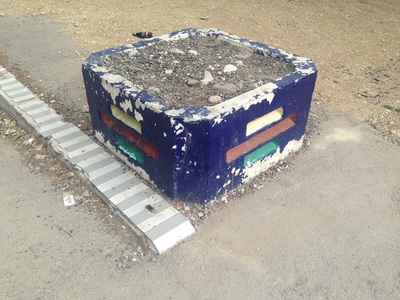 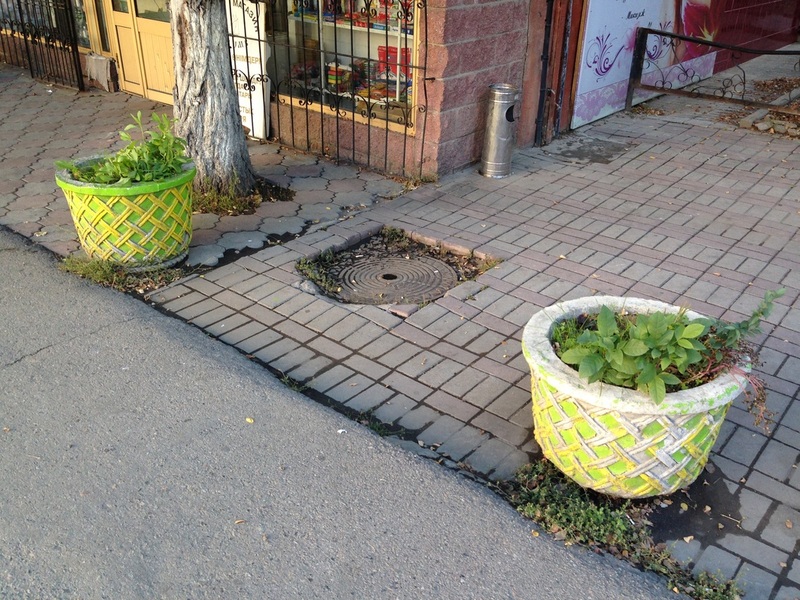 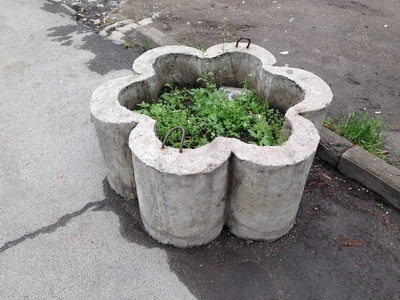 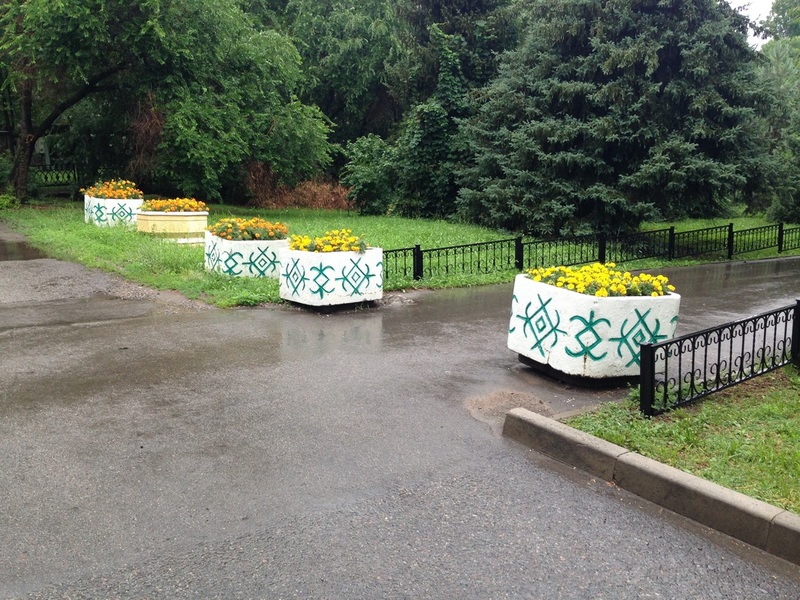 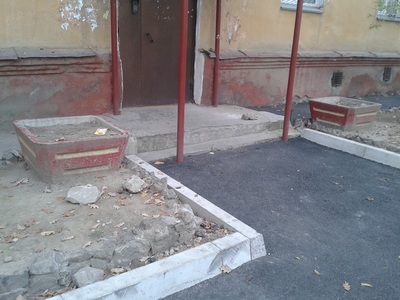 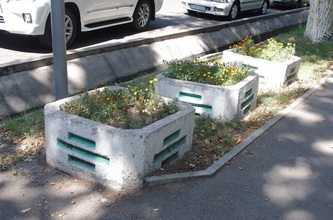 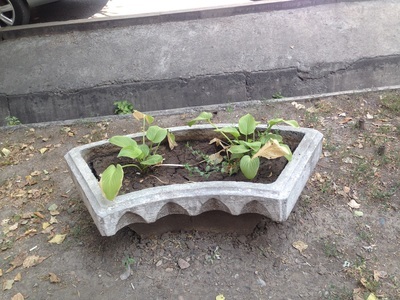 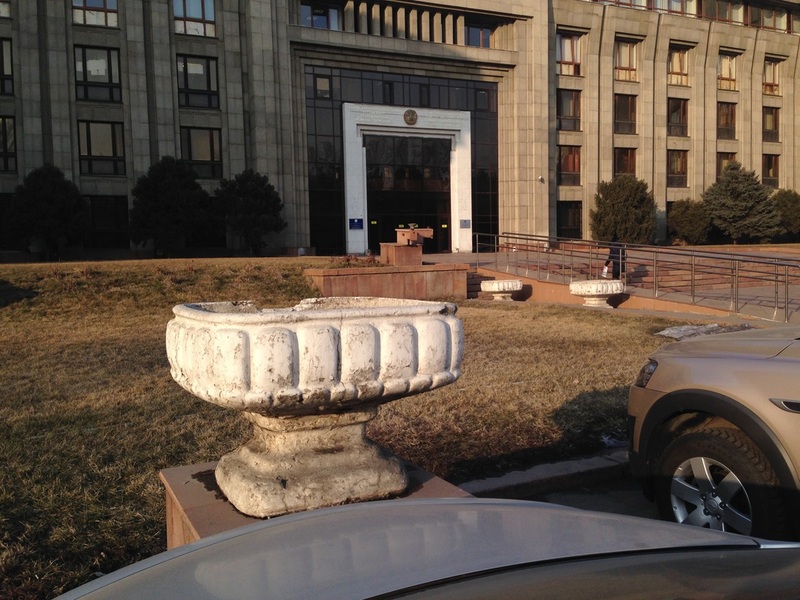 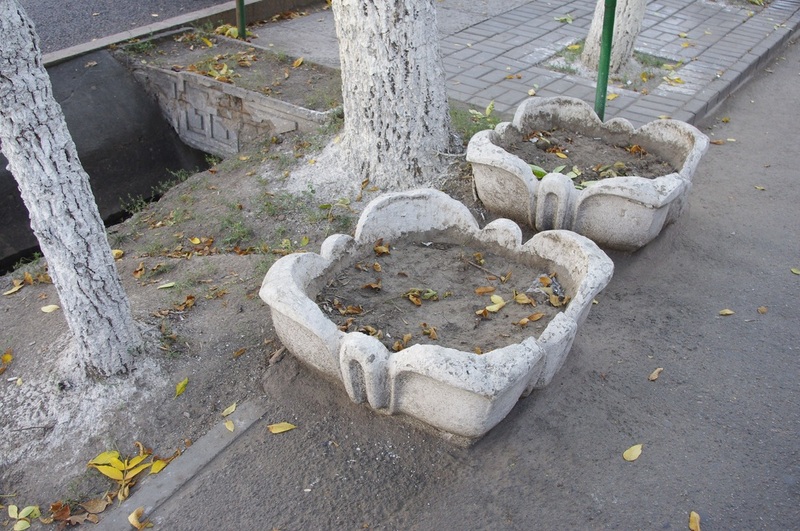 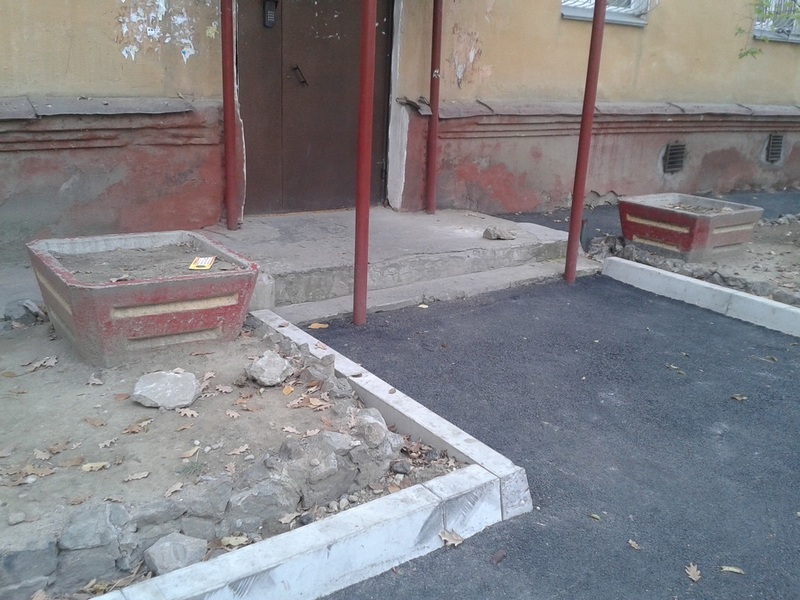 These days, the municipal government in Almaty continues to take flowers seriously. 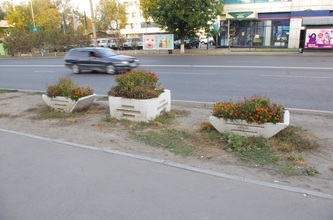 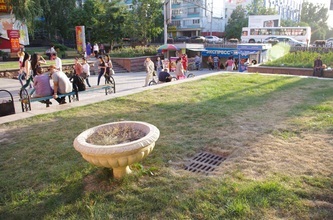 They even sponsored a festival called "Almaty, the Flower City." 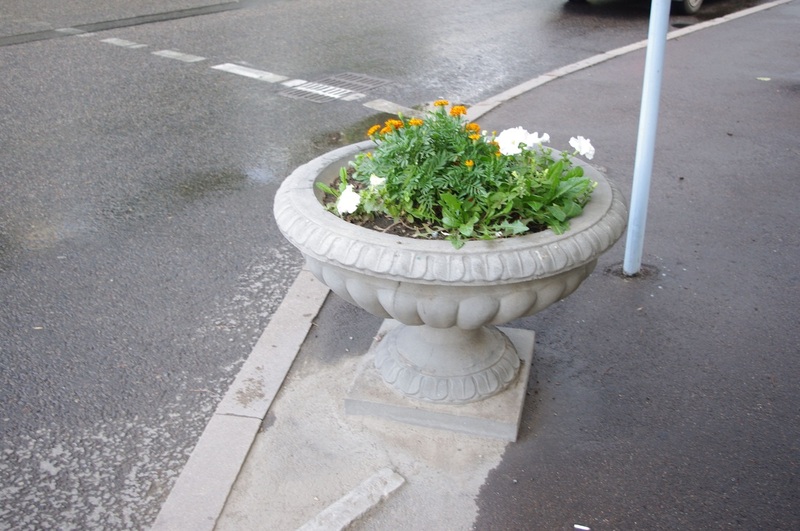 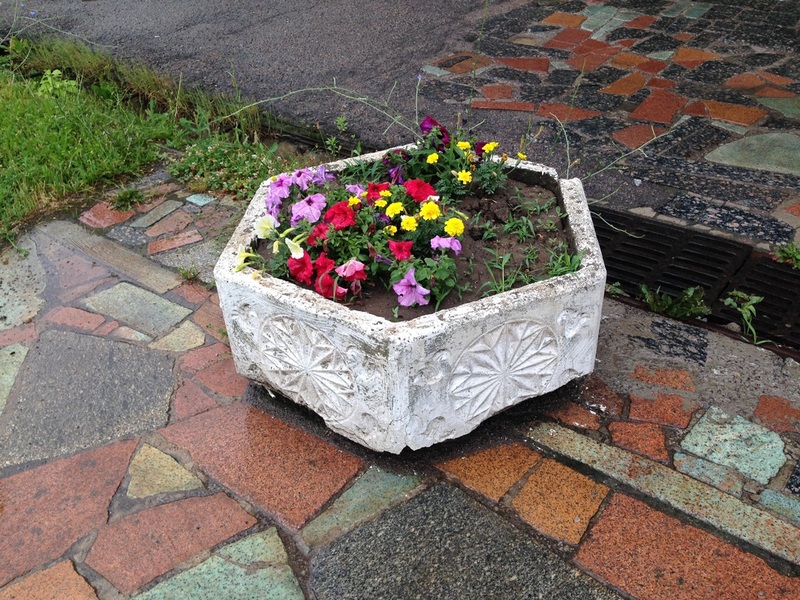 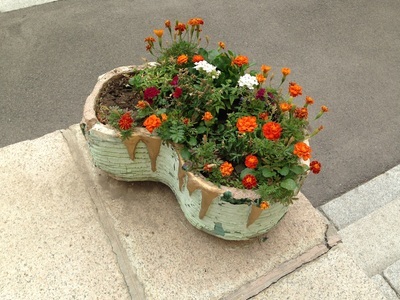 The newly-designed flowerpots seem to have been all made by the local garden ornament company Biz-Ber. 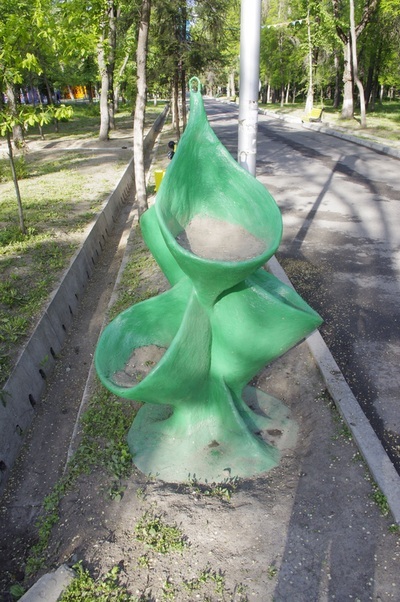 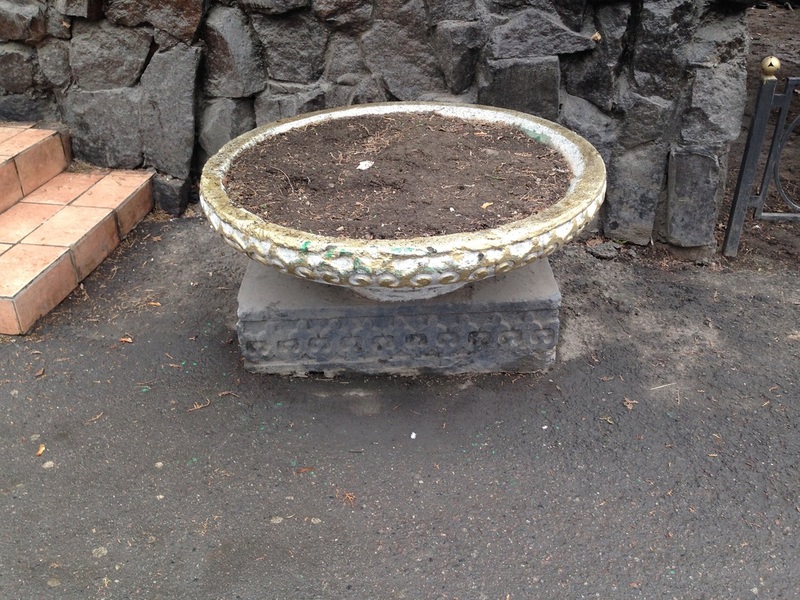 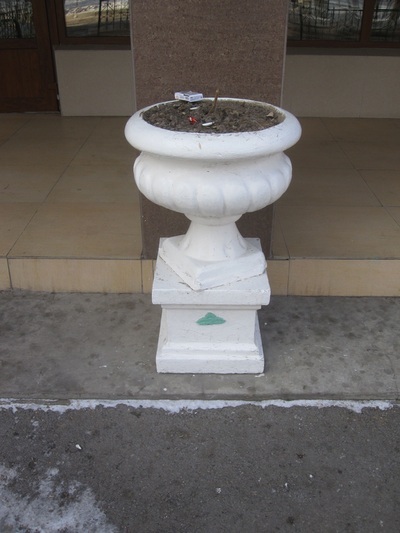 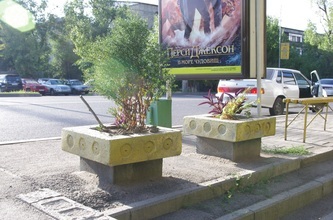 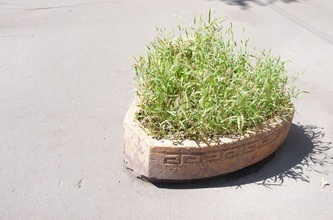 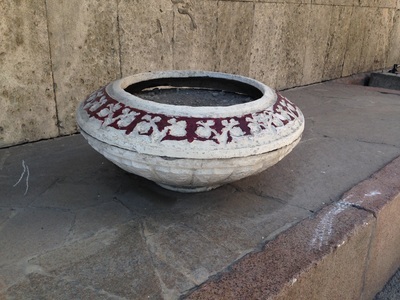 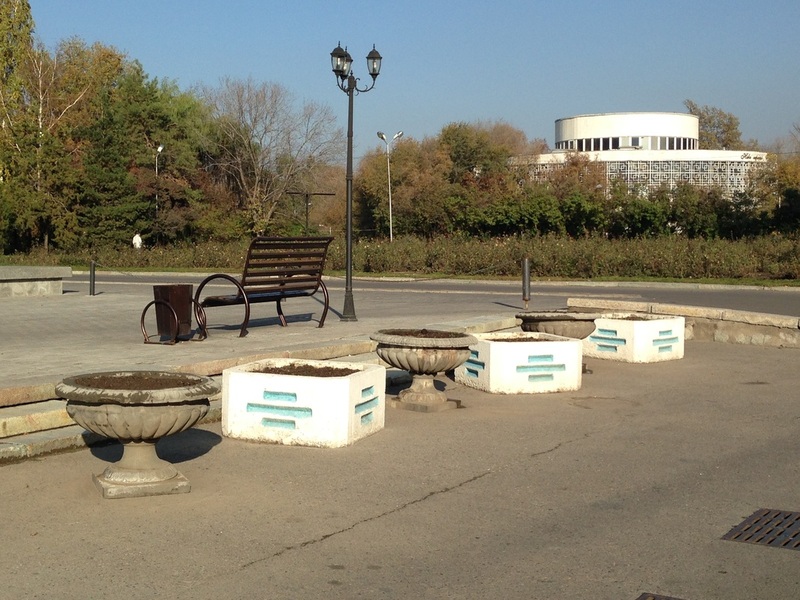 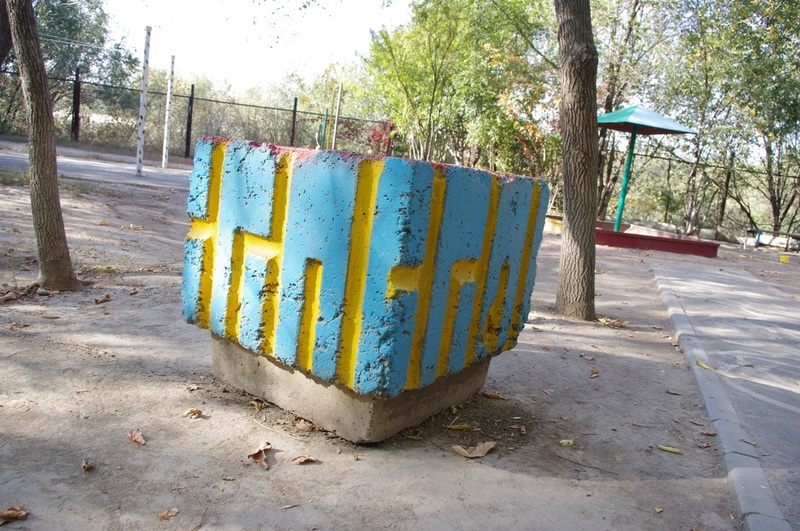 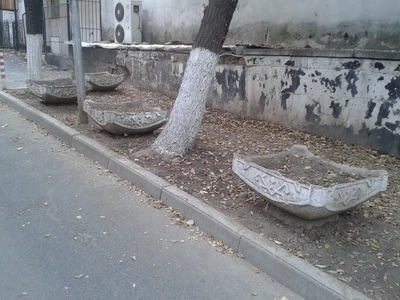 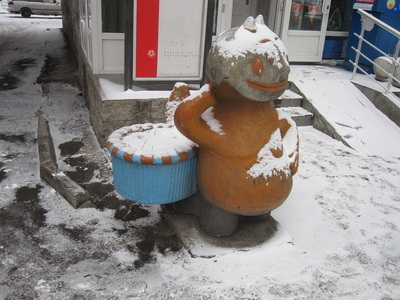 Their pots, with Kazakh names like Arman [Арман: "Dream"] and Bereke [Береке; "Prosperity"], have been placed in front of many major city sites, suggesting some kind of lucrative contract. 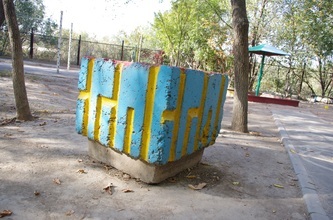 They're tasteful, with Kazakh ornamentation on the sides, and will likely be lending their presence, bright and severe, to Almaty for decades to come.